This is a typical configuration, with the inertial sensors mounted close to the sonar head. 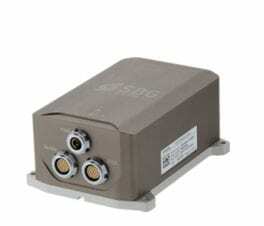 The inertial sensor is connected to the Navsight GNSS which integrates a survey grade dual antenna GPS/GNSS receiver. 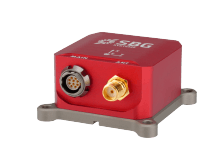 Navsight GNSS fuses real time inertial data with GNSS information and transmits this data to a computer and sonar. Navsight - Apogee Grade From Shallow to Deep WaterMost sold! 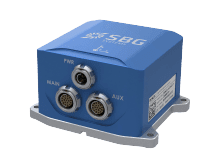 Navsight Marine Solution consists of an Inertial Measurement Unit connected to Navsight, a rugged processing unit encompassing our fusion intelligence and optional GNSS receiver. 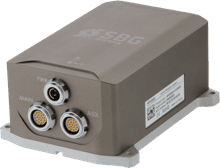 The highly versatile Navsight Apogee is ideal for challenging marine applications, both shallow and deep, and offers the best performance during GNSS outages. 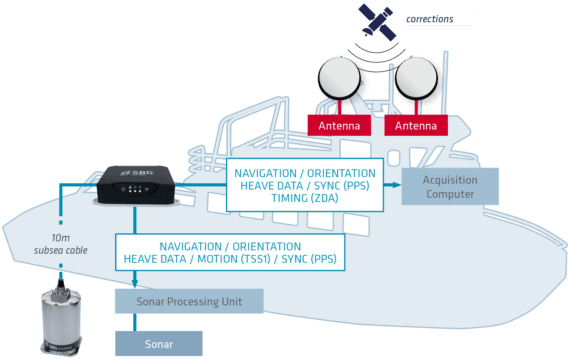 Navsight Marine Ekinox Grade consists of an Inertial Measurement Unit connected to Navsight, a rugged processing unit encompassing the fusion intelligence and the optional GNSS receiver. Cost-effective, it is ideal for Shallow Water applications, and light and easy to set for portable sonar systems. 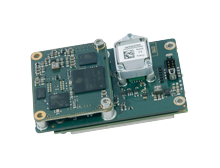 Apogee-E is a highly accurate Inertial Navigation System that connects to any survey grade external GNSS receiver for optimal navigation. 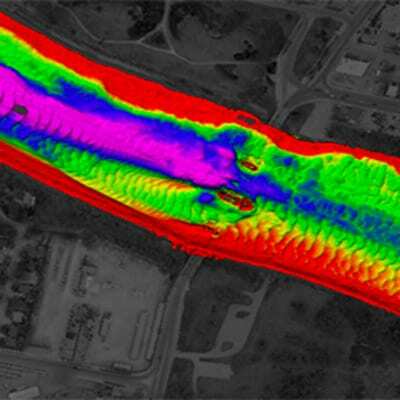 The highly versatile Apogee-E combined with your GNSS receiver is a cost-effective solution for hydrographic applications, from shallow to deep water. Navsight - Apogee GradeFrom Shallow to Deep WaterMost sold! The Motion Reference Unit (MRU) provides roll, pitch, and heave. 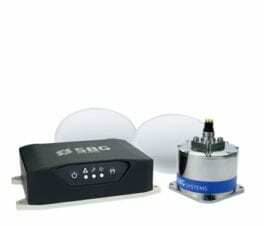 Heading and position are provided by the GNSS receiver. 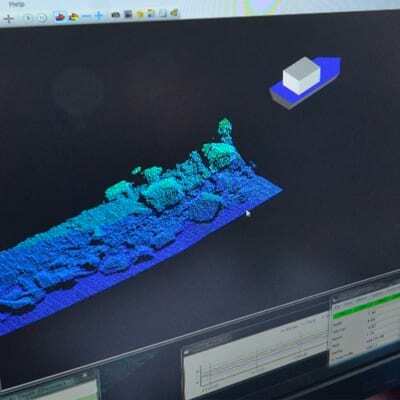 Data are provided to the Echosounder. 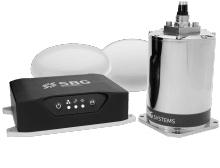 The Inertial Navigation System (INS) fuses all inertial data with GNSS information in real-time to provide the echo-sounder with more robust data. 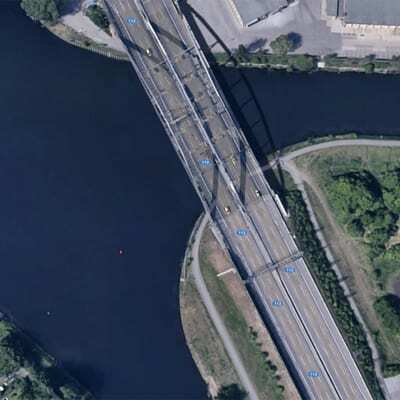 Indeed, if there is a communication cut, or a GNSS outage, due to a bridge crossing for instance, the Inertial Navigation System will maintain the position information until a new fix is acquired. If you mount the inertial sensor in the cabin, you can choose the surface models (A, E, N, or D). 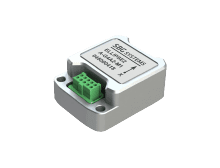 If you prefer installing the inertial sensor close to the echo-sounder head, then a titanium enclosure is required (Navsight subsea models). 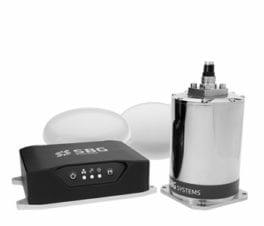 If you install the sensor on board, then a subsea enclosure will be preferred as well. Even though the surface enclosure is IP68, salt water can damage it if long exposure, or not cleaned. What is the Delayed Heave? When wave frequency is erratic or in case of long period swell, the delayed heave feature can save the day by allowing survey in rough conditions. This algorithm allows a more extensive calculation, resulting in a heave accurate to 2.5 cm for Ekinox sensors, and 2 cm for Apogee. Delayed heave data are displayed in real-time with a little delay. MarineStar / OmniStar, TerraStar / Veripos ? Apogee-D integrates a tri-frequency receiver compatible with TerraStar and Veripos. 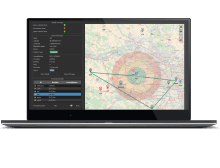 In addition to these positioning services, MarineStar and OmniStar are also available when buying the Navsight Solution. 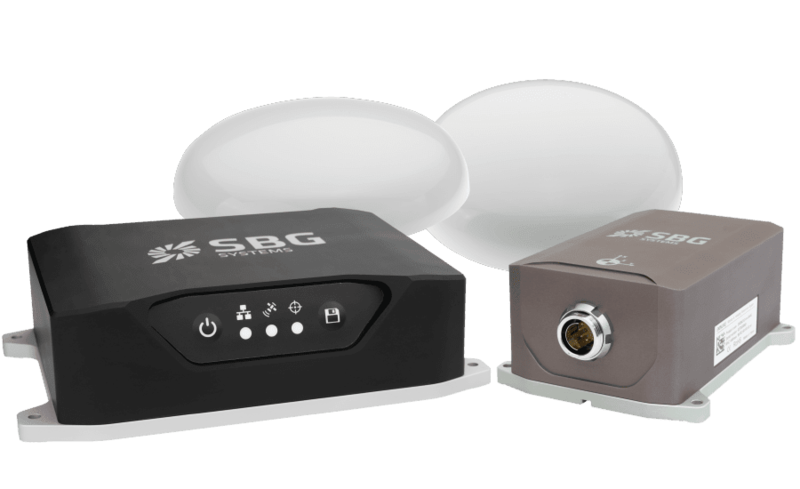 Specify to the SBG rep which positioning service is desired for your operation.